 A B-Corp certified Australian company has been using Econic® compostable packaging for their fresh roasted coffee beans for almost four years, and are committed to keep using it. 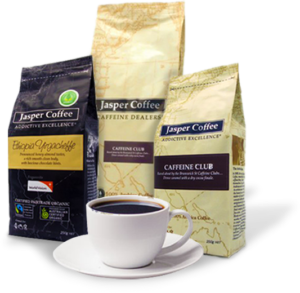 In August 2013 Melbourne-based Jasper Coffee adopted Econic packaging for their wholesale trade. They worked closely with Convex with for over 12 months to develop a customised 1kg vented compostable bag that suits their specific roasting process and sealing, packing and printing requirements. The bags are now used to supply Jasper’s premium Fairtrade Organic fresh roasted coffee beans to cafes throughout Australia. Jasper Coffee’s dedication to the environment and ethical business has earned them a long string of sustainable achievements. They were the first Fairtrade licensed roaster in Australia; the first Australian company to introduce Fairtrade Organic sugar, drinking chocolate, decaffeinated coffee and pods; the first Australian company to introduce compostable takeaway cups; the first Australian coffee company certified 100% carbon neutral, and they have earned B-Corp Certification for their rigorous commitment to social and environmental performance, accountability, and transparency. 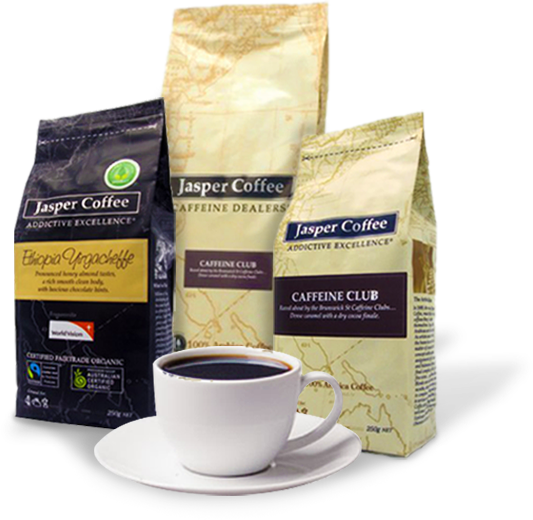 Jasper Coffee’s Econic packs are made by Convex from three renewable films, which are laminated together to lock in the coffee’s freshness, taste and flavour. The films are made from sustainably-produced wood pulp and corn sources and have all been internationally certified to the American ASTM D6400, European EN13432 and Australian AS4736 standards for compostable packaging. Jasper Coffee is currently working with Convex to develop a new resealable Econic retail pack for their premium freeze-dried instant coffee.